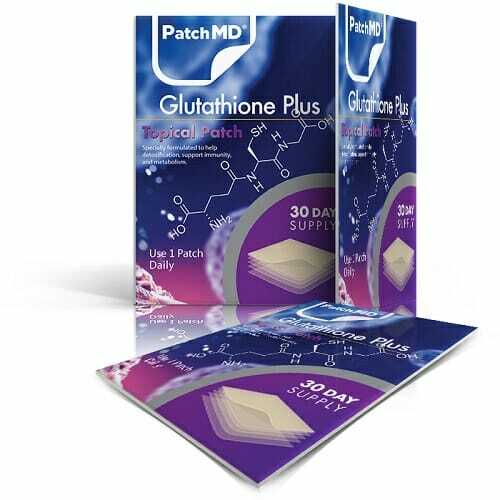 PatchMD Glutathione Plus Topical Patches are a breakthrough in reduced glutathione (GSH) supplementation. 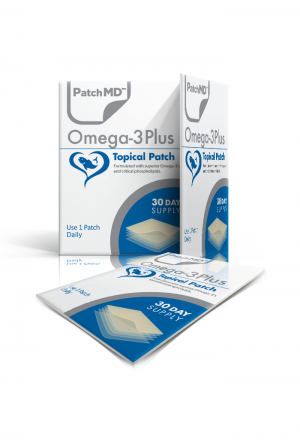 Each patch contains 500 mg of GSH alongside a potent antioxidant & mineral blend. By releasing the nutrient contents transdermally, much more of it is absorbed and utilized than with oral GSH supplements. 500 mg dose of reduced glutathione per patch. Also features a blend of antioxidants including NAC, CoQ10, PQQ, and much more! Transdermal absorption may greatly improve GSH bioavailability. All patches are crafted from natural and hypoallergenic materials. Use Coupon Code save5 to save 5% off your purchase! Fast and Free Shipping on all domestic orders. 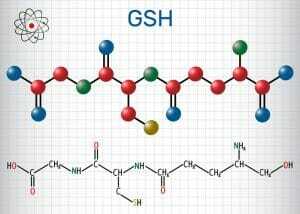 Glutathione (GSH) structural chemical formula and molecule model. This is very troubling news for those who are in need of meaningful and effective GSH supplementation. Thankfully, there are countless alternative GSH delivery methods which have been developed specifically to avoid the pitfalls of oral consumption. Transdermal absorption is perhaps the most revolutionary of all these methods. One huge problem with oral GSH is that it has to pass through the entirety of the digestive tract. The fragility of GSH molecules makes them particularly susceptible to degradation from stomach acid and other aspects of the digestive process. Liposomal glutathione products attempt to circumvent this issue by protecting the fragile GSH molecules with layers of fatty phospholipids. However, this may still leave the GSH vulnerable to degradation or malabsorption. Suppository GSH application avoids the digestive tract entirely by releasing the molecules directly to the porous tissues of the lower bowels. This method is likely to provide high absorption rate, yet it can be much more expensive, inconvenient, and uncomfortable to those unfamiliar with suppository application. Then there’s transdermal application. This means that GSH molecules are applied to the skin from whence they can be absorbed into the bloodstream. While there are number of topical GSH creams which fit this description, they are unlikely to provide the high absorption rate and efficacy of PatchMD Glutathione Topical Plus Patches. 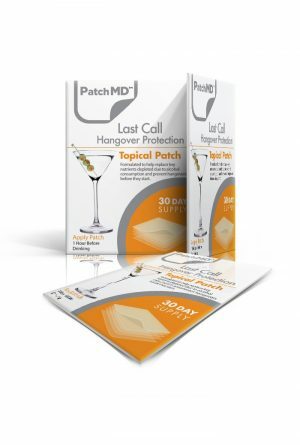 All PatchMD Topical Patches are designed to provide you the best in transdermal application. This is achieved by a targeted 8-hour sustained release of nutrient content which transdermal creams are simply incapable of providing. In addition, these patches are much more convenient to wear on the go, or even in your sleep. 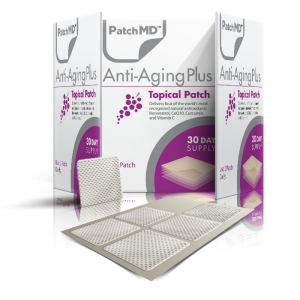 As if this weren’t enough, PatchMD Glutathione Topical Plus Patches also contain a blend of nutrient cofactors and fellow antioxidants which may further boost the presence and efficacy of GSH in the body. Some of these other ingredients include N-acetyl-cysteine (NAC) – a direct precursor to GSH formation – CoQ10, Vitamin C, and magnesium. No other supplement on the market offers this particular nutrient blend. Apply patch daily to an area with little or no hair, i.e., shoulder, back or hip. 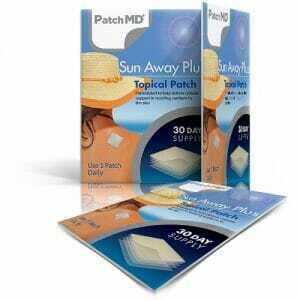 For best results, it is recommended to wear PatchMD patches for 8 hours. There is no additional benefit wearing the patch longer than 8 hours. Patches can be worn during sleep. Avoid using any lotion or cream in the same area as it will inhibit absorption. It is ok to wear multiple patches at a time.